Yesterday, Apple announced new mobile products: a new iPhone 5 and iPod touch (in their taller modes) and a new iPod nano. Of course, the views on the iPhone to all this ranged from “it’s only an incremental improvement, but that’s OK it is still leads the field” to “it’s only an incremental improvement, Apple have lost it.” So there is no real disagreement as to what the iPhone 5 is (part of a process of continual improvement as the market leader) but there is disagreement as to what it represents about Apple internally. Let’s start with one obvious thing: what does this mean for Apple’s immediate outlook? The answer is, nothing. Each year Apple have introduced an new iPhone and each year it has outsold all previous iPhones combined. That makes each previous generation a sales disaster but no one seems to remember it that way. Will that happen again this year? Most likely. People get iPhones on 2 year contracts and those expire and they upgrade. The iPhone 4 was a big hit and so one can expect many will upgrade. Now can this exponential growth sustain itself? No. So eventually, iPhone sales will grow with the market. The harder issue is what this all means for Apple in the long-term. For that, the iPhone is a terrible place to look. It is successful. It works. And there is no obvious displacing device on the horizon — as a product category that is. Therefore, one would expect continual incremental evolution. To think otherwise would be to destroy the ecosystem around the iPhone (the iOS platform). As it is just changing the dock connector has caused third party suppliers and invested customers to throw a fit. But let’s face it, those dock connectors were terrible and I think we can all handle a change. The better place to look is the iPod Nano. 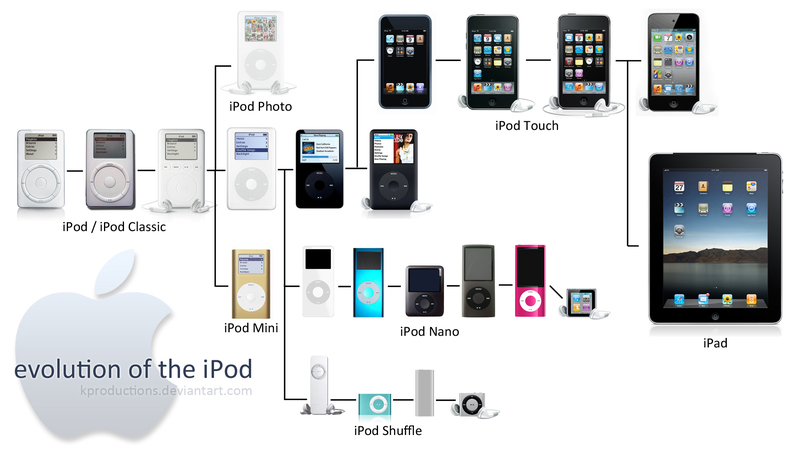 Apparently, Apple sell about 5 million iPod Nanos and Shuffles each year but they have been declining over time. This was part of the plan. But what is strange is how much change there is in design. Consider this chart. The iPod Nano evolved from the very successful iPod Mini basically as storage got larger, smaller in size, more power efficient and cheaper. For the first two generations, it was a small iPod in class design, then it flipped to have a larger screen so that video made more sense, then it went widescreen to emphasise that more before incorporating a video camera. And then, 2010, the Nano dropped the video playback (and camera) to become a small clip on version. You may think, therefore, that Apple had decided that an iPod Nano was a portable music player again perhaps designed for people doing exercise and not watching a screen. But, yesterday, apparently we learned that was no longer the case. The iPod Nano got its video screen back and is no longer as tiny. They wanted to make it a better music player and so wanted it to be easier to navigate music. It is like a thick credit card. But what was hard to get a sense of was why they did this. The previous ‘watch’ size seemed to provide great portability targeted at people who wanted something portable. The effort in changing has pushed to allow a bigger display but is that critical in a music player? If you want a bigger display, isn’t the iPod touch the way to go? Of course, perhaps the Nano was stuck in the middle. People going for portability got a Shuffle (which itself has gone through iterations — including one error that removed navigation buttons) so what was a Nano for? But, in that case, why kill the old Nano? Apple likes to keep its product lines focussed but one gets the sense that there is some confusion. Indeed, the iPod classic with its big hard disk drive is still for sale and has not been updated for years. Why didn’t this new product become a standard iPod? To me, it is this iPod Nano that represents the heart of the issues at Apple. They have values that limit product lines and they have values that push them to ‘beat themselves’ in generational design. After all, the iPhone was invented because Apple assessed that the iPod was dead. Moreover, new generation products often have distinct teams charged with beating the old generation. That is what happened with the Nano. It took them two years but a new product was developed and, unlike the iPhone 5, really was a major change from the one before. The question is: did it have a point? For that we will have to watch and see. But one comforting thing about the iPod Nano and its changes is that Apple continue to experiment and fail. Indeed, shouldn’t we expect that a certain proportion of Apple products introduced each year fail? To be sure, Apple have failures. The worldphone concept (i.e., the ability to use your phone worldwide) in the iPhone 4S has been pulled from the iPhone 5 indicating that Apple haven’t solved the roaming problem. The dock connector was supposed to facilitate innovative add-on hardware but hasn’t done so. Apple just killed Ping, its music social network. And I could go on. But when Apple fails with these products and features, they just fade away. 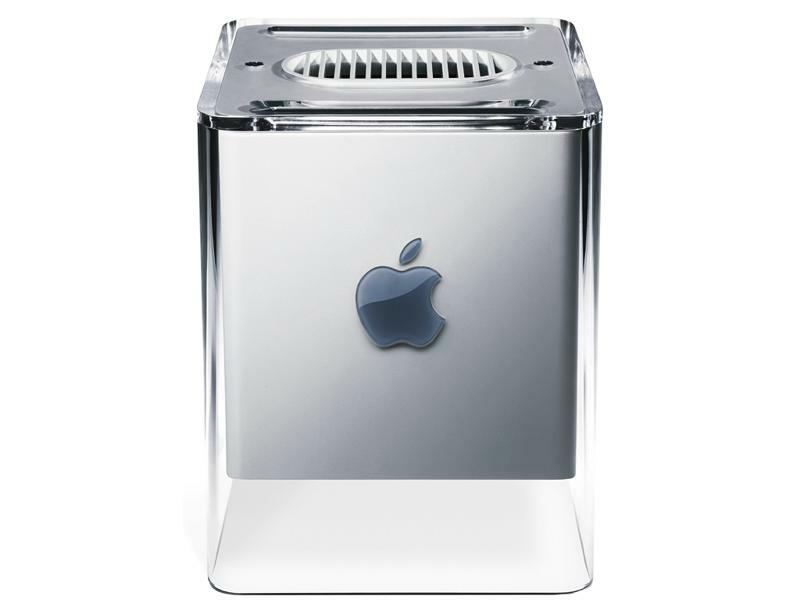 What we haven’t seen as much of lately are failures like the G4 Cube. And if there is a worrying sign about Apple’s future, it is surely that. I don’t understand what you mean by “failures like the G4 cube”. Do you see this as a different kind of failure than the others you mention? Why? What makes it a more desirable kind of failure. I seem to have missed something in your conclusion. I think the itty bitty nano finally reached a point where it was too small. It’s easy to lose at that size. The only reason I haven’t lost mine is I’m very deliberate about keeping headphones attached to it whenever I put it down, thus making it bigger. Previous PostPrevious Does Piracy Harm Sales?